Celtic have announced manager Ronnie Deila will leave the club at the end of the season. It is understood the Hoops boss has chosen to leave the club following the Scottish Cup semi-final defeat to Rangers on Sunday. The 40-year-old Norwegian’s position had come under increased scrutiny following Sunday’s cup exit to their Old Firm rivals, and his summer exit was confirmed on Wednesday morning. “It is vital that the club comes first, instead of me being the focus,” the Norwegian said. Celtic have an eight-point lead over Aberdeen with five games to go in the Ladbrokes Premiership, but some angry Hoops fans demanded Deila be sacked immediately after the penalty shoot-out loss to Mark Warburton’s men. The Parkhead side’s hierarchy was understood to be concerned by the lack of progress under Deila during his two-year reign, with the former Stromsgodset boss also reportedly left weary by the constant speculation over his future. Deila, who was on a one-year rolling contract, acknowledged he had encountered some “disappointments” during his tenure, but said he had always given his all. He continued: “It was an absolute privilege to be named manager of Celtic, such a wonderful football club, and I have enjoyed my time here immensely. Deila led the Glasgow giants to a league and cup double last term and is aiming to deliver the club’s fifth straight Scottish Premiership title. “My total focus now is on retaining our Premiership title and making it five in a row for our great club and proving that we are the best in the country,” he said. Celtic failed to reach the Champions League group stage after a play-off defeat to Malmo in August, and had a dismal Europa League campaign too, finishing winless and bottom of their pool. The Premiership title is now their only hope of domestic glory this season, with their Scottish Cup exit at the hands of Rangers having come after January’s League Cup semi-final loss to Ross County. 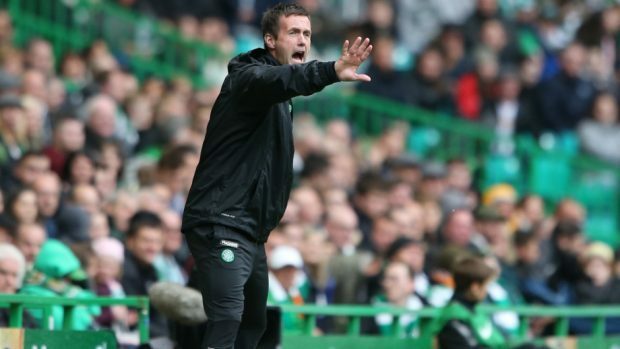 Deila was appointed Celtic boss in June 2014, having guided Stromsgodset to their first title in 43 years the previous campaign and won the Norwegian Cup in 2010. Celtic chief executive Peter Lawwell thanked Deila for his efforts over the past 22 months, saying: “Ronny has given everything to Celtic during the past two years and we thank him for his contribution to the club. “He is a man of real humility, someone of tremendous character, and I personally wish him nothing but success for the future. Former Everton and Manchester United manager David Moyes has been installed as the bookmakers’ favourite to replace Deila, followed by former Hoops boss Neil Lennon following his departure from Bolton.